Boston, MA, and Oxford, UK | 27 October 2016 | As it celebrates its 125th anniversary as the world’s first land preservation organization, The Trustees of Reservations (The Trustees) has announced a significant portion of its extensive historical collections is now available online for the first time, via a partnership with digital preservation specialist, Preservica. The online catalog features The Trustees’ extensive collections, ranging from museum quality art and objects to historic and present day photos, manuscripts, news clippings, and artifacts that document and illustrate the unique stories of the Trustees properties and the families who once owned them across the state. The Trustees is a member-supported, non-profit organization that cares for some of Massachusetts’ most treasured natural, scenic, and historic sites, including reservations and historic houses across more than 27,000 acres in 75 communities. Founded in 1891 by pioneering landscape architect Charles Eliot, The Trustees’ mission is to “preserve, for public use and enjoyment, properties of exceptional historic and ecological value in Massachusetts” and to conserve the character that makes Massachusetts’ landscapes and communities unique. Key pieces of history within the organization’s collections include historical documents such as original letters written by Thomas Jefferson and Ralph Waldo Emerson, accounts of early Massachusetts cabinetmakers, and Charles Eliot’s scrapbook documenting the founding of The Trustees, a 140-page account of clippings, letters, pamphlets, and more. The collections also feature images from The Trustees’ 116 sites, including Agassiz Rock, with its dramatic glacial boulders, and Appleton Farm, one of the oldest working farms in the country. Using Preservica’s Cloud Edition, considered a gold standard in the industry, The Trustees have deployed a digital preservation strategy that will not only ensure their unique digital collections are “future-proofed” and useable by future generations, but also accessible online for the general public, researchers, and staff to search, browse and view. Visit The Trustees website frequently to continue to explore its ever expanding online collections. Of The Trustees’ 116 Properties, the ARC curators and archivists chose to start the project working with collections surrounding three historic houses, all of which are National Historic Landmarks: the Old Manse in Concord, Naumkeag in Stockbridge, and Castle Hill in Ipswich. Collections surrounding 13 other properties are also represented online, including Allen C. Haskell Park, Appleton Farms, Chestnut Hill Farm, Eleanor Cabot Bradley Estate, FarandNear, Long Hill, Long Point Wildlife Refuge, Monument Mountain, Notchview, Powisset Farm, Stevens-Coolidge Place, Weir River Farm, William Cullen Bryant Homestead and World’s End. The online materials are catalogued using local guidelines and adaptations of national standards. Generally, several controlled vocabulary systems are used for names and descriptive terms: the Getty Research Institute’s Art & Architecture Thesaurus, Thesaurus of Geographic Names, and Union List of Artist Names; and the Library of Congress Authorities database. The quality of the images accompanying the records ranges from high quality to screen quality. Some records do not yet have custom images. You can view The Trustees new online digital collections website here; which are also accessible via mobile devices. The Trustees preserves and cares for some of Massachusetts’ most treasured natural, scenic, and historic sites for public use and enjoyment. Founded in 1891 and celebrating our 125th Anniversary in May 2016, we are the world’s first land preservation non-profit and the Commonwealth’s largest conservation and preservation organization. We believe in protecting the irreplaceable for everyone, forever. Our passion is to connect more people to outdoor recreation, culture, agriculture, and healthy, active living by using our 116 diverse properties, community spaces, and over 4,100 annual programs as a powerful and compelling platform. 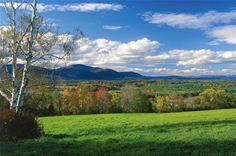 Located within minutes of every resident and visited by 1.6 million people in 2015, our properties span more than 27,000 acres across the state – from working farms, landscaped and urban gardens, and community parks, to barrier beaches, forests, campgrounds, inns and historic sites, many of which are National Historic Landmarks. In addition to our properties, we are also an active leader in land conservation. We hold conservation restrictions on more than 20,000 acres and have worked with community partners to help protect another 25,000 acres across the state. In 2014 we became a founding partner of the Boston Public Market, the first all locally-sourced indoor market of its kind in the nation where we operate our Appleton Farms vendor booth and serve as the educational programming partner for the Market’s demonstration KITCHEN. Funded by our nearly 125,000 members and supporters, we invite you to get out, get inspired, and find magic in the moment at a Trustees property near you: www.thetrustees.org. Preservica is a world leader in digital preservation technology, consulting and research. Our active preservation solutions are used by leading businesses, archives, libraries, museums and government organizations globally, to safeguard and share valuable digital content, collections and electronic records, for decades to come. These include many European National Archives and Libraries, 17 US State Archives, the European Commission, Yale University and HSBC, to name a few.